The Personal Carrier Test allows future parents to find out if they are carriers of a genetic disorder. Healthy carriers of genetic diseases are usually asymptomatic and, in most cases, they do not have any family history that suggests any of these pathologies. As a matter of fact, each of us is the carrier of some genetic diseases. If parents are carriers of a genetic disorder they may know in advance what is their probability to transfer it to their child. The test is fast and easy to run: what it is needed is a sample of blood, to extract the DNA and make the analysis that is indeed based on the study of the genetic material. The biological sample is processed in the laboratory to extract DNA from the cells. The Personal Carrier Test adopts Next Generation Sequencing techniques to identify known mutations. The blood panel searches for the causative mutation of the prevalent recessive diseases, such as cystic fibrosis, fragile x syndrome, Duchenne syndrome. The analysis is executed by Personal Genomics, a spin-off genetics laboratory at the University of Verona. The autosomal recessive disorders appear when two pairs (or alleles) of the same mutated gene are inherited. It is, therefore, necessary that both the father and the mother are healthy carriers of the disease - i.e. they both carry a mutated copy of the gene and, they have both been transmitted it to their child by accident. A healthy carrier of a causative genetic mutation of a recessive disease does not manifest any symptom; in fact, everyone is a carrier of different mutations in recessive genes without having any clinical manifestations. When both parents are the carrier of a recessive mutation in the same gene, the chances that their children would be affected by the disease is 25%; the probability that they would be healthy carrier is 50%; and the probability that they would not have the mutation is 25% (non-carriers). The Personal Carrier Tests allows the analysis of more than 4.000 causative mutations of more than 150 recessive genetic diseases, that can be classified in four groups: serious diseases with strong consequences on health; moderate to subclinical diseases; rare diseases with a strong impact on health and high incidence on certain populations in the world; x-chromosome related diseases. 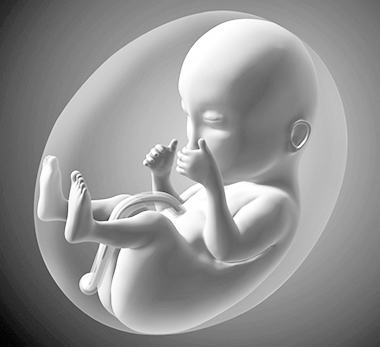 In the event that both partners are carriers of one of these pathologies, it will be possible to decide to monitor the pregnancy, to verify the effective transmission of the disease to the fetus through the application of an invasive prenatal technique, or to proceed with medically assisted procreation techniques.